The commercial season is slowly but surely kicking in. 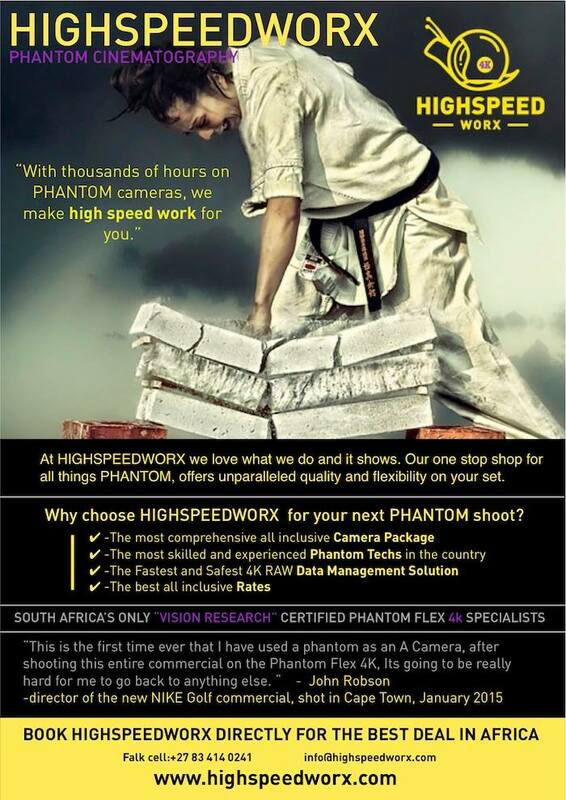 Highspeedworx is equipped with the best all-round Phantom highspeed service in the country. 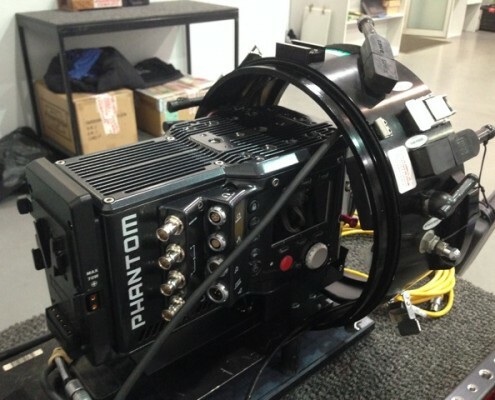 The Phantom Flex 4K is a proven A-Camera as well as a highspeed specialised camera. Our Tech Johan Horjus will guide you through every shoot, and our back-end solutions are unrivalled with the fastest download speeds. 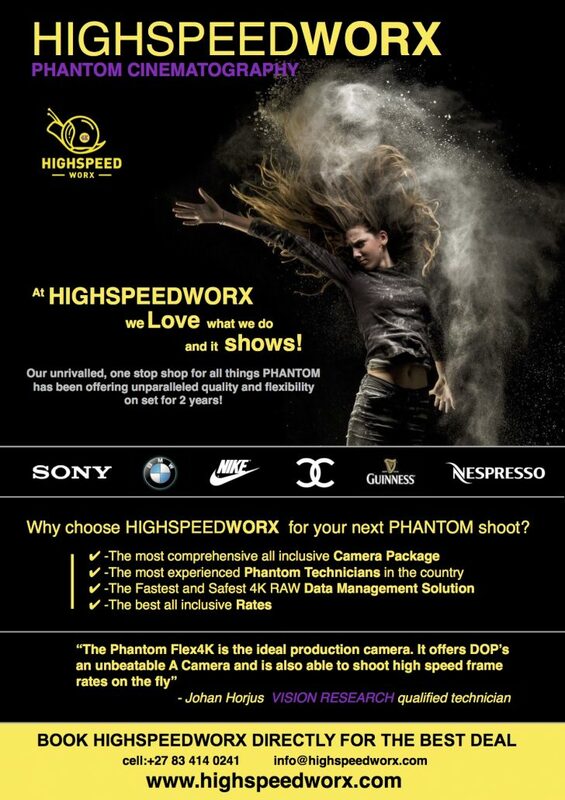 Book an all-inclusive package with Highspeedworx now. 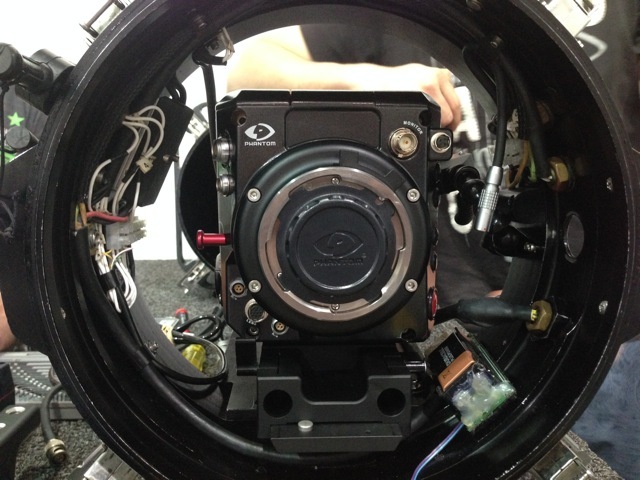 SpectR’s iCU is more than just a remote control for Phantom cameras. 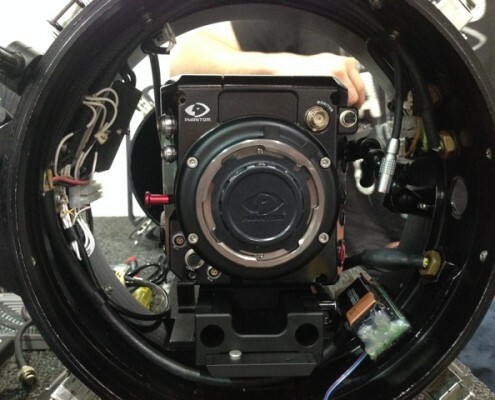 It revolutionizes high-speed camera control. 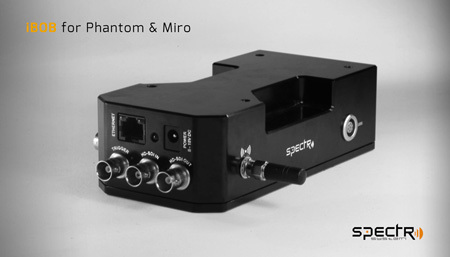 The SpectR communication system effectively frees up Vision Research’s high-speed cameras, opening up innovative possibilities for all the Phantom cameras. 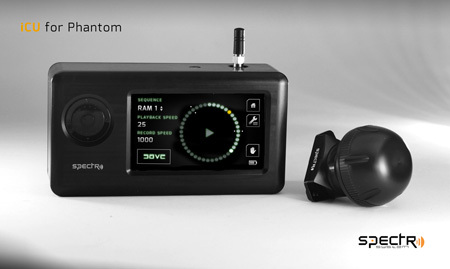 It’s an intelligent, user-friendly and intuitive device which allows for full remote operation of Phantom cameras. 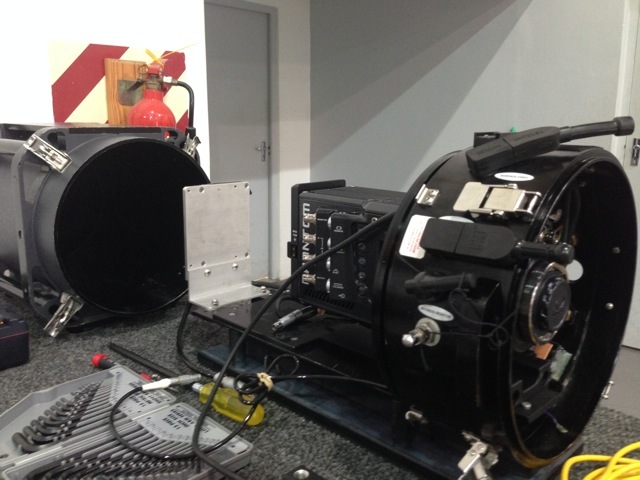 The Spectr iCU communicates with the phantom flex 4k over long-distance at a range of up to a kilometer. At 2.4 GHz and with an ISM bandwidth, benefit from zero interference from other devices nearby. iCU also features a RJ45 connector which means you can fix it directly to the camera, or even just to your computer, to upgrade, save and share your preferences. 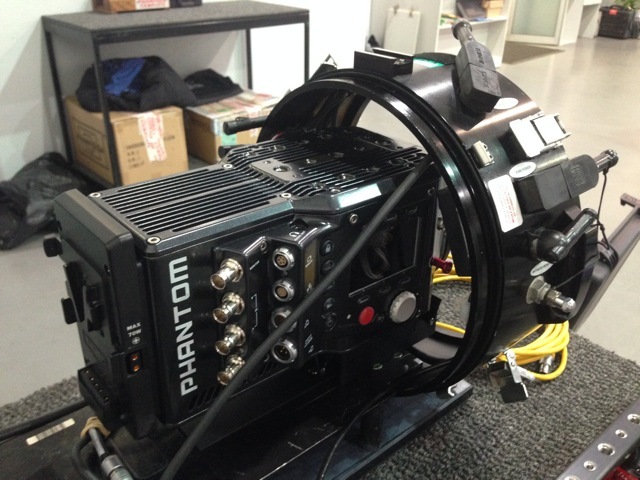 Highspeedworx is currently testing the capability of going underwater with the Phantom Flex 4K, which would promise spectacular footage from the world below. 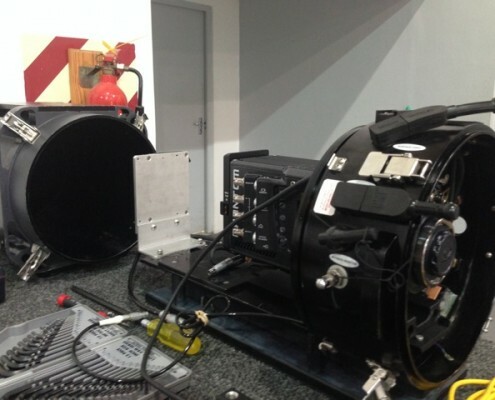 Falk Eggert, an experienced underwater cameraman, has tried the Hydraflex housing for this purpose and hopes to be able to promote this service to Highspeedworx in the near future. Check out the pictures below and stay tuned for more information!